We need your help to stop terrorists being able to plan, prepare and carry out attacks, groom or recruit people or encourage others to carry out attacks. You may have seen or heard something that could be that vital piece of information that will help to stop a terrorist attack. If you have any information about suspicious activity or behaviour please report it. Use our secure online form at gov.uk/ACT Alternatively, you can call us on 0800 789 321. If you have any worries about reporting, take a look at our FAQ’s. In an emergency you should always dial 999. Find out more about the partnership between the public and Counter Terrorism Policing on our Latest News page. With the enduring terrorist threat, it is now more important than ever that everyone plays their part in tackling terrorism. Your actions could save lives. 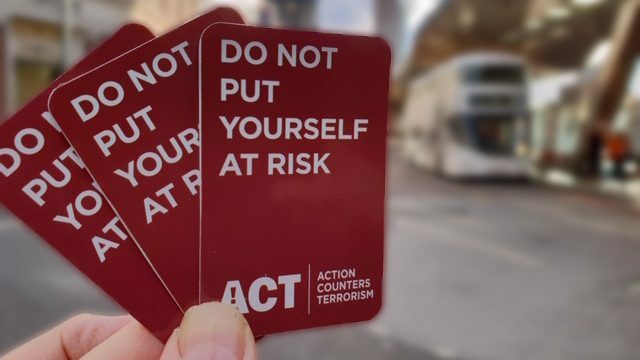 That’s why Action Counters Terrorism (ACT) is encouraging communities across the country to help the police tackle terrorism and save lives by reporting suspicious behaviour and activity. Like other criminals, terrorists need to plan. 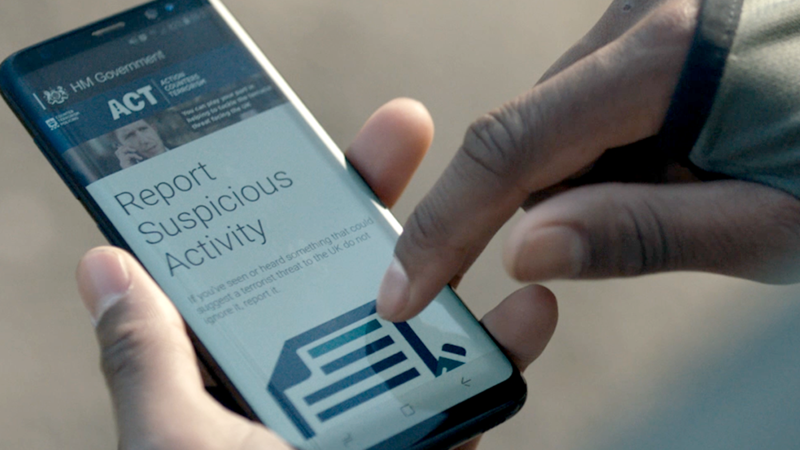 If you see or hear something unusual or suspicious trust your instincts and ACT by reporting it in confidence at gov.uk/ACT or, in an emergency, dial 999. Within Counter Terrorism Policing we work around the clock to Prevent the threat of extremism and terrorism. We also work to Pursue active terrorist threats and stopping those who seek to do us harm. Looking at extremist material, including on the so-called Dark Web, or sharing and creating content that promotes or glorifies terrorism. Someone receiving deliveries for unusual items bought online. Embracing or actively promoting hateful ideas or an extremist ideology. You are not wasting our time, and no call or click will be ignored. What you tell us is treated in the strictest confidence and is thoroughly researched by experienced officers before, and if, any police action is taken. Any piece of information could be important, it is better to be safe and report it. Visit gov.uk/ACT and remember, trust your instincts and ACT. While the chances of being caught up in a terrorist incident remain rare, it is important to be prepared and know how to protect yourself if the need arises. Counter Terrorism Policing has released guidance that sets out three key steps for keeping safe in the event of a firearms or weapons attack. Our advice if you are caught up in an incident is to ‘Run, Hide and Tell’ – guidance which can be applied to many places and situations. We know from case studies and testimony of people who have survived attacks that this advice can save lives. We support a network of about 190 counter terrorism security advisors (CTSAs) who work within local police forces as officers and staff. 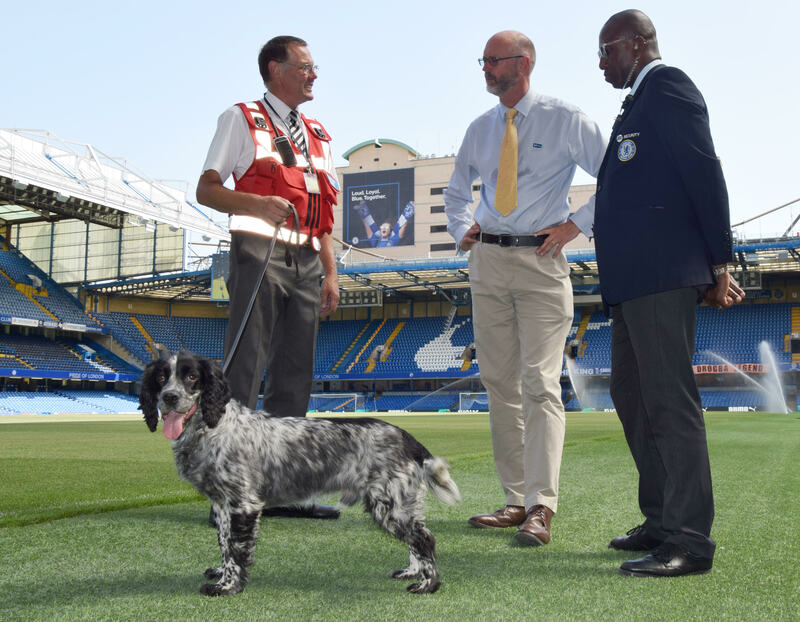 Their primary role is to provide help, advice and guidance on all aspects of counter terrorism protective security to specified industry sectors. A new e-learning product is now available to provide nationally accredited counter terrorism guidance to help industry better understand, and mitigate against, current terrorist methodology. You can read more about this important work on the NaCTSO website. We have worked with a wide variety of industries in order to keep the UK safe. This includes working with the vehicle rental industry to promote the Rental Vehicle Security Scheme. We have also worked with youth organisations in order to educate younger people on how to act in an emergency. Read more about how schools and youth organisations can get involved with our Act For Youth campaign.